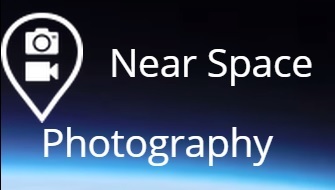 Stratocaching is a unique game which combines high-altitude balloons with geocaching. It is the brainchild of the Czech non-profit association “Žádná věda” (“Not Rocket Science”) and its aim is to link science and technology with an adventure game – something we call “the magic of experiment”. Our first flight took place on November 16, 2013 with 13.000 participants. More than 220.000 viewers watched the live video streamed from the balloon to the online Czech technology magazine Technet.cz. This year Stratocache was sponsored by Logitech, BASF, 4GLTE, AXIS, VW, FPV.CZ, and jobs.CZ. Ivan from Stratochaching has kindfully given us a roundup of the second successful Stratocache event in Czech Republic. 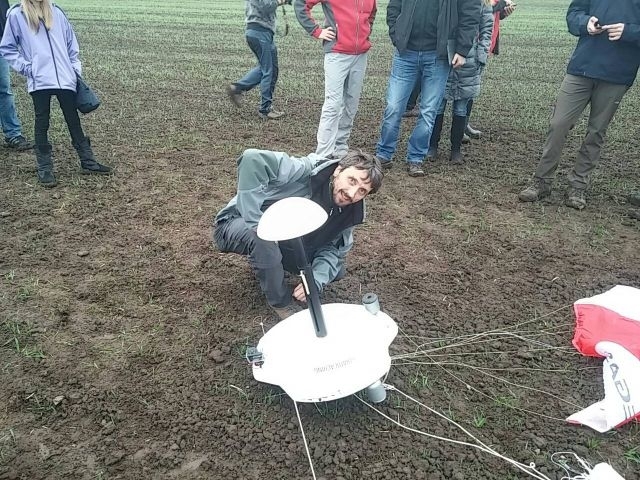 “This years‘ project turned to be quite dramatic – firstly, because of the heavy payload (3,8 kg) and strict tests and negotiations with the Civil Aviation Authority in the Czech republic, we lost time and energy to manage all the tests nedded before start (quite a paradox). At the time of the start, the EMC problem caused failure of some of the technologies. Luckily, the emergency system worked and everything was safe. Live video streaming using Wi-Fi router Microtic and special AXIS F series cameras (two sensor units looking up and down) – had to be turned off before start because of EMC problem. LThe cameras were in recording mode only. The GPS inside Dropion lost the positioning after start – the reason is probably a wrong final coat of white paint on the Dropion cover, containing titanium. We actually had a metal lid covering all the GPS antennas inside! A silly mistake made the night before L That’s why the automatic system for balloon cutoff and releasing Stratocaches didn’t work. 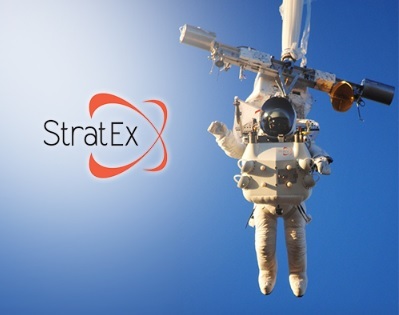 We have completed a very sophisticated stratospheric probe that has a releasing system that could be used for many purposes, including the Stratocaching game. We only need to fix some small problems and can fly again! The only problem is that we will probably never get permission for next flight in Czech republic– this year, it was a „political“ achievment to get the authorities cooperating with our crazy project. Would anyone be interested in launching the Stratocaching balloon in a different country? We are ready to pack all the components and test Dropion and Stratocaches somewhere else! It would help us to continue with our exploration of the „maple seed design“ of the Stratocaches and behavior of different GPS technologies. Having eyes in the sky is essential to the Eric Frein manhunt. But helicopters and planes are expensive and, more significantly, loud. The sound of rotors and propellers over the Poconos forest where the fugitive is believed to be hiding might as well be his signal to duck and cover. 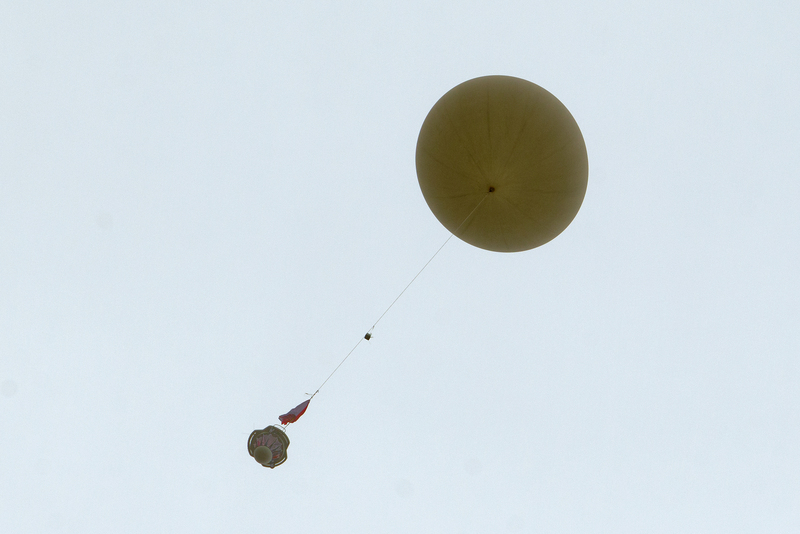 The alternative, introduced to the search effort Monday, is a camera-equipped balloon, similar to a weather balloon. Unmanned, tethered and silent, it can hover for up to three days at a time and capture video of vast patches of ground. The $180,000 device — marketed as “Blimp in a Box” by its developer, Drone Aviation Corp. of Florida — uses a Mylar balloon filled with helium and can rise nearly 500 feet from its storage trailer. It’s on loan to the Pennsylvania State Police from the Ohio Department of Transportation, which uses it to conduct traffic studies and monitor construction sites, among other tasks. 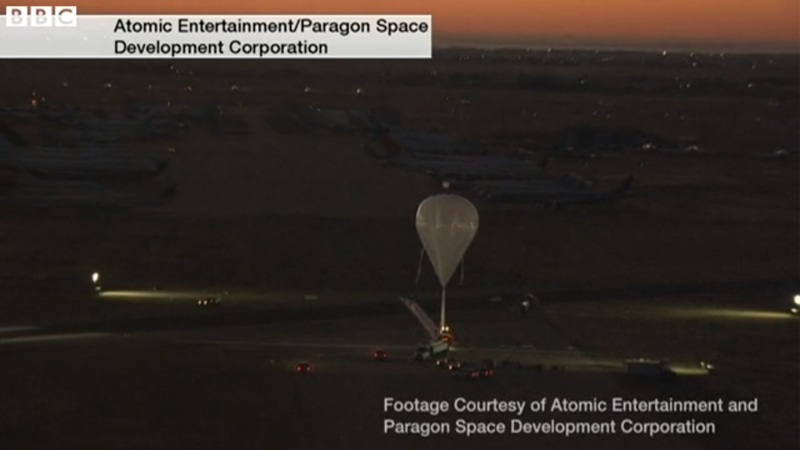 Feeding imagery to a laptop computer, the balloon at its highest altitude gives authorities a view as expansive as that from a 50-story building, said Dan Erdberg, Drone Aviation’s chief operating officer. Frein, a 31-year-old military buff and self-trained survivalist, is accused of using a rifle to kill Cpl. Bryon Dickson and wound Trooper Alex Douglass in a Sept. 12 ambush outside the state police barracks in Blooming Grove, Pike County. He was identified as a suspect Sept. 16 after his disabled sport utility vehicle was found abandoned about 3 miles from the barracks. 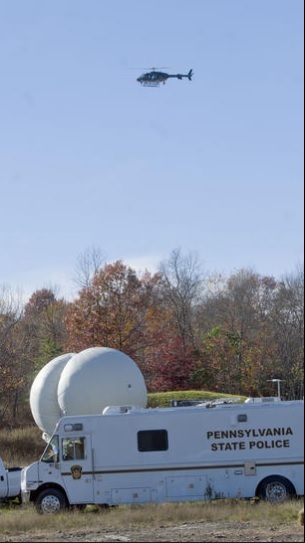 Large balloons will be launched with cameras to aid in the search for Eric Frein. Hundreds of state police and federal agents have been pursuing him in a broad, intensive search that has come up empty despite a number of unconfirmed sightings in Monroe County near Frein’s home town of Canadenis and, more recently, Swiftwater. The cost of the manhunt has exceeded $1 million a week, but the balloon will be a relatively inexpensive addition to the search arsenal. A full charge of helium costs $1,000 but keeps the device aloft for three days. That compares quite favorably to the cost of fuel and manpower for helicopter and plane flights, which can’t match the unblinking surveillance capability of the balloon. 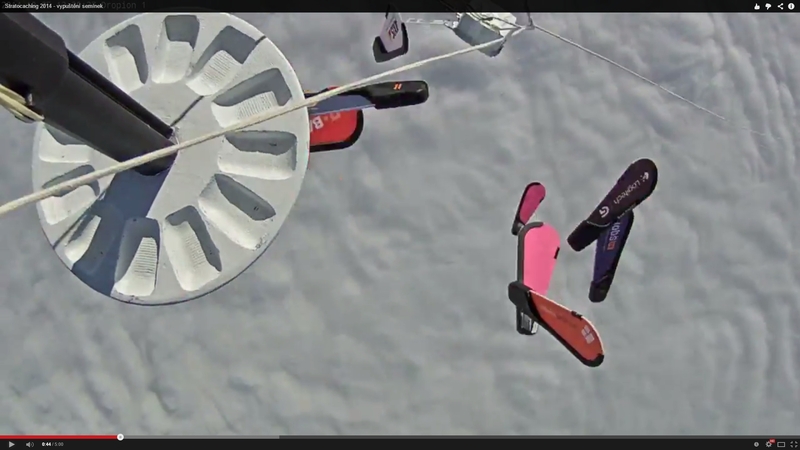 The drawback is that the device can’t be used in especially windy conditions. It was grounded by wind over the weekend when authorities tried to test it. This is the first time state police have used a surveillance balloon, said Trooper Tom Kelly, an agency spokesman. Police agencies elsewhere have used them for security during large outdoor events and for surveillance of isolated areas. In Tennessee, for example, the Nashville Metro Police Department has used a Blimp in a Box to thwart thefts at rail yards, spokeswoman Kris Mumford said. The device can also be a valuable tool for crowd control during major events, such as the Country Music Association Festival, she said. Steven Faulkner, a spokesman for the Ohio Department of Transportation, said the agency bought the Blimp in a Box earlier this year. Recently, the Ohio Department of Rehabilitation and Correction used the device for a pilot project. Prisons were monitored from above “either for those trying to get some contraband over the fence or others trying to get out from under the fence,” Faulkner said. Erdberg said the civilian version of the Blimp in a Box is only a few months old — Ohio’s was the first transportation department to get one — but a military version has been under evaluation by the armed services for about 18 months. 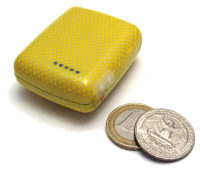 The company said the devices could be valuable in border control and even in communications in isolated areas. With a communications radio attached, the blimp could be converted to a floating cell tower. “We’re happy that’s it’s there,” said Erdberg, hopeful that Drone Aviation’s brainchild will help put an end to the hunt for Frein. 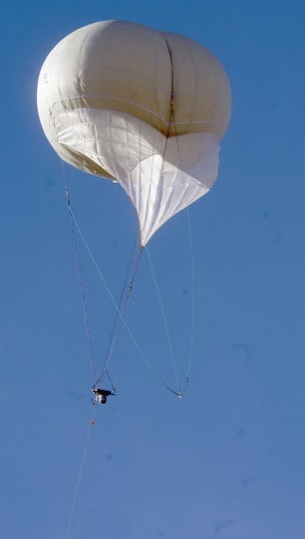 Google executive Alan Eustace has broken the world altitude record for a parachute jump by leaping from 135,890 feet (41,419 metres). The previous record was set by Felix Baumgartner two years ago, after he jumped from a height of nearly 128,000 feet.